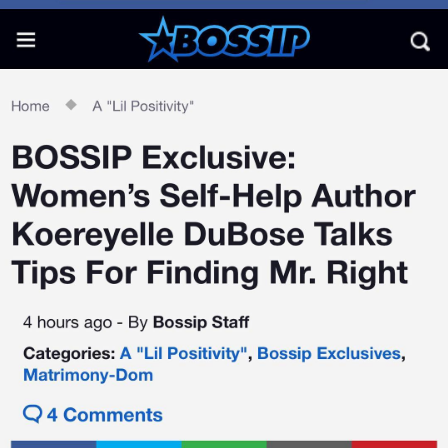 Koereyelle DuBose’s passion for helping women find the men of their dreams was borne out of her own personal struggle to find Mr. Right. The author of the “WERK 101 Get-Your-Life-Together Guide” and the founder of the women’s support group the “Single Wives Club,” was engaged to a guy a few years ago, but soon found out that her man wasn’t the person she thought he was. The relationship soured – and at one point became abusive – and DuBose said she tried to patch things up with counseling before throwing in the towel.